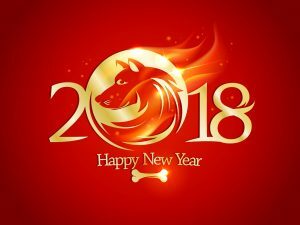 2018 is the Year of the Dog according to the Chinese zodiac. It’s the perfect time to celebrate and appreciate your loyal companion. There are several ways to show your furry friend you care, and The Inquisitive Canine can help you think of a few. What does the Year of the Dog mean? There are 11 animals and one mythological creature that make up the Chinese zodiac. The dog is the eleventh animal, which means it’s been 12 years since the last Year of the Dog. Children born between February 16th, 2018 and February 4th, 2019 will have the dog as their Chinese zodiac sign. What does it mean to have the dog as your Chinese zodiac sign? People born under the sign of the dog are said to be loyal, friendly and kind – just like our four-legged friends. They are less likely to seek money and power and more likely to try and make the world a better place. Famous people with the dog as their zodiac sign include Madonna, Michael Jackson, Steven Spielberg, Winston Churchill and Mother Teresa. Celebrate your dog all year long by nurturing your relationship. Here are just three ways The Inquisitive Canine can support and grow your owner-pet bond in the New Year. The Inquisitive Canine is offering several new classes in the first half of 2018. We’re offering Dog Behavior Workshops in February and April, and a course on preparing for pet adoption on April 30th. Learn more about our workshops and sign up to reserve your spot. 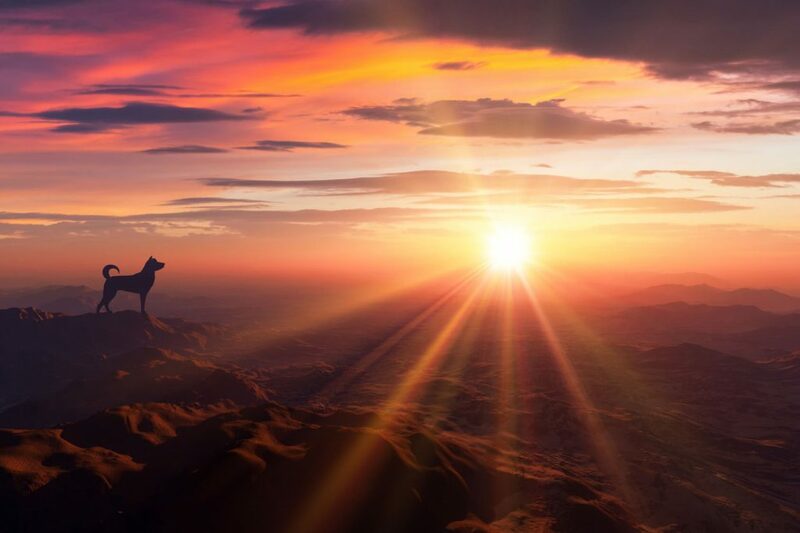 Adventuring with your canine has never been easier. Our TransPaw Gear pet harness enhances the human-canine bond. It offers multiple locations for leash attachment, providing you with choices to match any activity. Canine comfort lead the design, so your canine can move freely with special comfortable support behind the upper area of the front legs and snug shoulders fit. Learn more about the TransPaw Gear harness and shop the dog harness on our product website. Visit the Doggie Blog to learn free tips and tricks from Joan Hunter Mayer and our knowledgeable guest bloggers. Whether it’s tips for finding the right dog trainer for you and your pet or how to teach canine nose-work, the Doggie Blog is the place to gain valuable insights. This year is the Year of the Dog, so show your courageous canine they matter by dedicating your time and establishing a deep bond. With Memorial Day on the horizon and summer festivities about to begin, Poncho and I thought we’d help set the stage for keeping inquisitive canines happy and safe when attending and/or co-hosting various events, parties, and barbecues. Reward your pup for ignoring “forbidden items”, especially the barbecue! Say they walk by it and decides to stay away. Whether you’ve asked them to or not, they should be thanked. Acknowledge with anything they find motivating to reinforce that behavior. Use praise, petting, a game of fetch or tug, and even a yummy treat to make an impact. Teach “down-stay” in one location: Train your dog to perform a settle down-stay on a bed, towel or mat. Reward for being on their “magic carpet” — all good things happen when they’re hanging out on their mat. If they start to wander toward the BBQ, you can ask to come to you and/or for them to “leave it!” – as soon as they come away from it, reward heavily. If they opt for pushing the limits, you can send them indoors (remove from the “fun”). After a minute or so, allow them to return to their special mat and reward for being there. They should soon learn this distinction: “Hmm, if I stay on my blankie, I get treats and I get to hang out. If I wander toward the hot thing with food on it, I end up inside … bummer.” Dogs are pretty clever, and soon learn what the better choice is. DO arrange your dog’s environment (enclose outdoors or use a barricade if needed) to prevent access to grill. DON’T leave your dog unattended outside with the grill on at any time. Paws, muzzles, mouths and tongues can get burned easily – and badly! DO keep your dog inside the house or tethered to those who aren’t manning the grill, if barricading outside isn’t possible. DON’T create an unintentional “time-out” by sequestering your dog to an area without anything to do while everyone else is have fun. DO spend a bit of time teaching and practicing safe grill behaviors with your dog before guests arrive. Teaching your dog to be the #1 grill master, remember to combine the basics with an emphasis on rewarding any and all behaviors you want! Also keep in mind that dress rehearsals are key – especially since barbecues and daily-life chaos tend to keep us preoccupied. How do I handle the situation when I am walking my boxer on her leash and we are confronted by an off leash dog or two? It happens a lot in my neighborhood and my former street dog (she was rescued from a neglectful life of living on the streets of East Dallas) goes crazy and barks and lunges at the dogs. I have worked with her so she no longer lunges at dogs behind fences but she continues to go crazy at the off leash roamers. Thank you for writing in! We appreciate questions such as these, since there are many in your walking shoes experiencing the same situation. 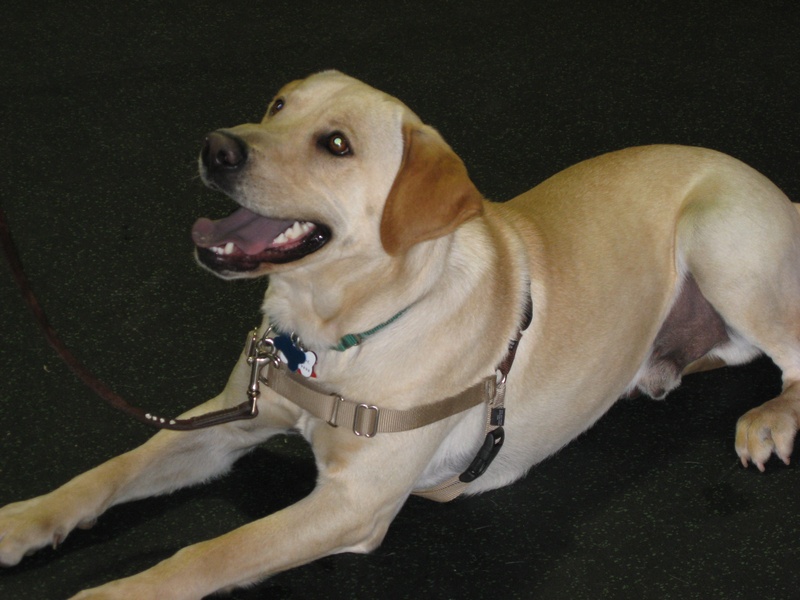 The following are a few quick tips you can use to help with enjoying your leash-walks. If your inquisitive canine is more of an obedience expert, you can play the same game, but in leu of playing “find it”, you can run through her gamut of “tricks”. The principle is the same in that every time another dog appears life gets better for her! Allow your dog to speak! Our domestic dogs have a language all their own. 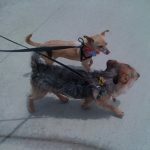 Allowing your dog the opportunity to speak her mind will help her convey her message to the other dog, and vice-versa. She might be using both her vocal and body language skills. Similar to when any two people are talking, especially in a language we’re not fluent in, it’s best to avoid interrupting. d you’re comfortable with it, drop the leash. Again, this allows her more control over her behavior – which we all want, right? Learn to “speak dog”! In addition to allowing the dogs to communicate, you’ll want to take a foreign language course in “dog-talk”. This is helpful for watching your own pooch, as well as others you encounter – especially those who are unfamiliar. A dog whose body and face is relaxed and loose, tail wiggly-waggy in movement, mouth open with tongue possibly hanging out while walking towards you using a bouncy gait is more likely to be friendly. The complete opposite – body stiff, mouth closed with tense face, stiff gate, head downward but gazing towards you/your dog – is a dog you’d want to question – it doesn’t mean he or she would want to start a fight, but this type of language might be conveying more of a reserved greeting. When in doubt you can use the little trick of taking a handful of treats and tossing them at the other dog while you head off in another direction. Paws and reflect: Make the experience fun and rewarding, versus stressful, and be prepared for what your plan of action is for those times you see another dog while on walks. Also, remember to allow your dog to speak her mind when other dogs are around.With time, practice and consistency, you can make the experience a walk in the park – or wherever your dogs leash takes you. a happy puppy. What should I do and how should I do it? Once a young pup myself, I can speak firsthand as to how learning to trust new people, places and situations takes time and practice. 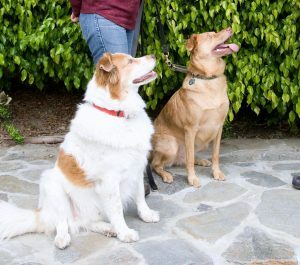 I’m happy to pass along a few simple dog training tips you can use to help your wallflower fido become the more confident canine you’d like her to be. Let’s start with a few knowledge nuggets regarding the topic of fear. I’m talking about fear as it relates to her feelings, her emotional state and her ability to make her own decisions. The primary stage of your dog’s life when she’s most open to new people and situations is 0-3 months — a very narrow window in which sociability wins out over being afraid. If your pup wasn’t introduced to a variety of people and situations during this time, then chances are it’ll be tougher for her to adapt, since the fear response starts to win the race as she ages. However, not all hope is lost. You can certainly teach her anything she is physically and mentally capable of doing, including trusting and enjoying her new life with you and all that’s in it! Keep It Simple. During this crucial teaching time, you’ll want to keep things simple and fun. All you have to do is pair something your bashful bow-wow might be uncertain about with something she already loves! For instance, since we animals must eat, you and others can provide extra-yummy goodies for her, such as pieces of grilled chicken or steak (I love when my mom does that! ), allowing her to approach you. If she’s still hesitant, try tossing pieces toward her, building the trail of trust till she is confident enough to approach. Adjust Expectations, Little by Little. Believe me, you’ll want to take baby-steps when working with her. As long as she continues to advance toward you, accepting your kindness and that of strangers, you can keep forging ahead at a slow-and-steady pace. If and when she decides to back off, respect her wishes and allow her to make that choice. The Triple-P of Giving Treats. Once she begins to show signs of confidence, coming toward you and being close to you, begin hand-feeding her. Others in your home can do this as well. As she gets more comfortable, you can begin the Triple-P Treat Training Plan: Pet, praise, then present the treat. Petting should begin with light touches under her chin, working your way around as she gets more comfortable. And — this is really important — all petting should be followed with a yummy nibble of treat goodness. I recommend making the top of her head the last location, since hands reaching over will cause her to pull back. As for additional situations and locations, repeat the same steps in places you want her to enjoy hanging out. Over time, she should learn to believe that her new world is a fantastic place and her confidence should build, making it easier for her to accept and believe that novelty is the spice of life! Fearfulness is a normal reaction across many different species. Your pup is responding in a way that is innate — avoiding in order to survive. It can be difficult to not take it personally, but keep in mind that developing a relationship with strangers, especially those of a different species, is more about building trust and not about liking. With a caring dog-mom like you being patient, allowing her to set the pace, giving her control over her environment and being able to make her own decisions, your bashful bow-wow will begin to enjoy her life with you in time and blossom into that self-assured pup you want! Dear Inquisitive Canine is written by Joan Mayer and her trusty sidekick, Poncho the dog. Joan is a certified professional dog trainer and dog behavior coach. Poncho is a 10-pound mutt who knows a lot about canine and human behavior. 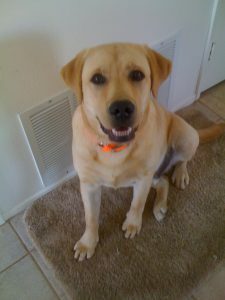 Their column is known for its simple, commonsense approach to dog training and behavior, as well as its entertaining insight into implementing proven techniques that reward both owner and dog. Joan is also the founder of the Inquisitive Canine and developer of the Out of the Box Dog Training Game, where her love-of-dog training approach highlights the importance of understanding canine behavior. If you or your dog have questions about behavior, training or life with each other, please email them directly. 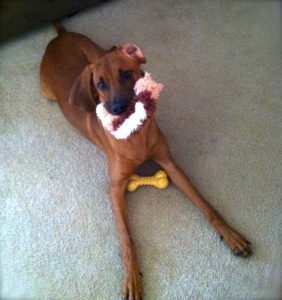 Does Your Dog Like to Share Their Food and Toys? When it comes to resources – food, toys, and locations – many animals, dogs included, prefer to keep it all to themselves. Learning to share is just that, a learned behavior. Guarding ones resources, is an innate behavior – and one that is very handy for survival. Tagged: Dog Behavior, dog training, enrichment for dogs4 Comments on Does Your Dog Like to Share Their Food and Toys? I love behavior – which is a good thing, considering I’m a certified dog trainer. I also enjoy observing the interactions – behaviors – not only between inquisitive canines, but other species as well. Recently, I witnessed a conversation between a father and his young son – about 4 years old I’d guess – that could have been written for a behavior modification course. It was textbook! And, I have to say, it took much impulse control on my part to refrain from offering up training tips that might have helped him reach his goals. This is how it went. Father to son: “Hey, if you want to play, you can’t go past the yellow poles.” (Child had a toy car he was playing with.). Son immediately goes past the poles. “Hey, I said, you can’t go past the yellow poles if you want to play.” Again, son goes past the poles. All this time not making eye-contact with his dad. What does your inquisitive canine enjoy doing? Eat? Sleep? Play? All of the above? I know my sidekick Poncho enjoys doing all of those things, as well as any work-related task I ask him to do. I bring this up because of a great video I came across, that I’d like to share with you. My dog barks enthusiastically, very loudly, over and over. He does it at many different times, including the morning when I’m taking him outside, when I come home from being away, or when we arrive home together from a car ride. He barks in the car, out of the car, and everywhere between! I don’t know how to stop him. I tell him “No,” but then he usually barks at least two to four more times! Your dog barks, you give him attention by saying “no”, he barks again. Hmm, sounds to me you’ve done a great job at teaching him to “speak” – nice work! I have a feeling that wasn’t your intention though. TJ sounds like one happy enthusiastic pal. But I totally understand about it being annoying when another living being can’t seem to appreciate the sound of silence. Believe it or not, you’re barking up the right tree. I myself am one inquisitive canine who enjoys his own voice now and again, and I’d be happy to share some of the training tips my own mom uses with me. And the list goes on….Please remember that barking is a main form of communication for us canines. If you didn’t want to live with an animal that barks…well, then you might want to find a roommate of another species. But you’d probably end up with having to deal with other irritating habits and noises. Plus, I’m sure the love you have for TJ outweighs the annoying barking so we won’t discuss that option. It’s time to hunker down and figure out exactly what it is you want from TJ. Do you want him to bark only at certain times, such as when someone is at your front door? Do you want TJ to be quiet when he’s in the car, when you come home, and when you take him outside? Once you have your list compiled, you’ll need to take the time to teach him when and where you want him to be silent. Start small and work your way up. Having realistic expectations will make the process easier on you both. Now it’s time to begin acknowledging TJ when he makes the choices you want him to make. For you this means any time he is quiet – especially during the more exciting times. Suppressing enthusiasm can be very difficult for us pooches, so using a reward that is more motivating than the reasons he wants to bark is key. Practice coming and going in and out of the house and car, with TJ in tow, as well as on your own, rewarding with chin scratches, yummy treats and a “good boy” at those moments when he is quiet. Even if it’s just a brief second while he’s coming up for air is better than nothing. Take what you can get when you can get it. Hang out with TJ in your car while it’s parked at your home. Read a book – or the latest Edhat edition. Then while TJ is just chillaxing, reward him for being quiet. This way he learns that being quiet in the car gets him the attention he wants. If he barks, send him inside and take off in the car on your own. If and when TJ barks for attention – that doesn’t involve having to go outside to potty or a stranger is on the property – ignore it! Walk away if you have to. If you’re having one of those days where you don’t feel like dealing with TJ and his being a chatty-Kathy in the car, then leave him at home. If you’re at your wits end and you don’t feel like training him, then redirect his energy to a different outlet. A scavenger hunt in the yard, play-date with another doggy friend, an outing at the local doggy daycare or date with a dog walker can help give him the attention he wants while expending energy, leaving him relaxed and wanting to rest. Keep in mind that any type of attention is still attention – even if it’s negative attention. So if you’ve been interacting with TJ whenever he barks, even saying something like “no” will increase the risk of his barking more often. So instead of focusing in on the negative, concentrate on the behaviors that you want, teach TJ in a way he understands, and reward him heavily for making the better choice. Poncho Mayer is a 10-pound inquisitive canine who knows a lot about human and canine behavior. He and his mom work together running the family business that services other inquisitive canines. For additional dog training and behavior tips, subscribe to their blog. You can also follow Poncho on Twitter and head over to his Inquisitive Canine Facebook page, “like us” and upload pics of your own inquisitive canine. You can also ask us about dog behavior, just email us directly.